July saw me bring a tonne of stuff to auction as I emptied my various storage areas. The purge made for a long sales list, which (in addition to recent comments) led me to reconsider the way I share my sales. I think in future posts I’ll do a general overview of the numbers, and highlight only the most exciting sales – something in line with what they do at Scavenger Life, but with a few more featured items. The detailed summary made more sense when I sold less items, but now they’re getting to be a lot more work, the tedious kind at that. Better to save that energy for other posts, or more picking! If you want to keep track of my eBay sales on your own, visit my eBay listings page and sort by “sold” (or just bookmark that link for future reference). 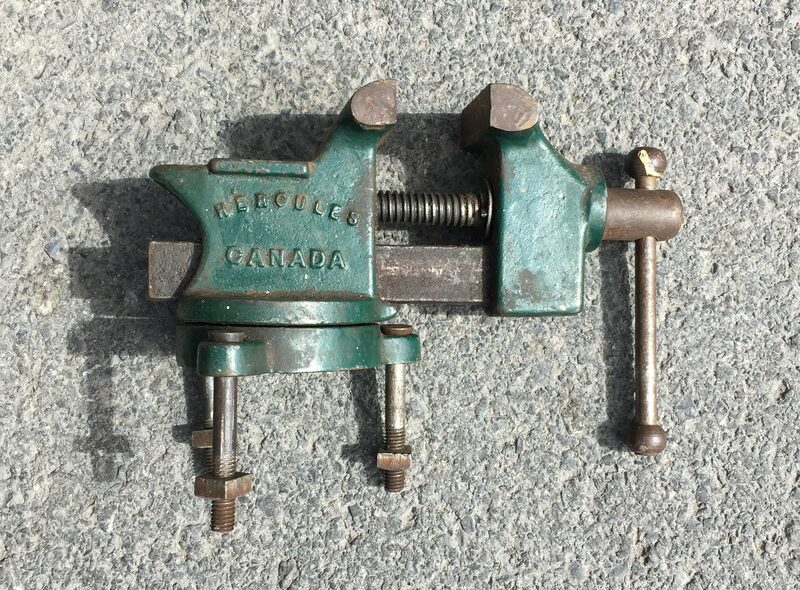 Faber Castell Minfix pencil sharpener: 27$. Enicar Ultrasonic Supertest watch: 72$. Phonak MyPilot hearing aid remote: 31.50$. All items that sold with cents (and most with prices not ending in a 0 or 5) were part of a sale I did to clear out some older items. It worked pretty well! 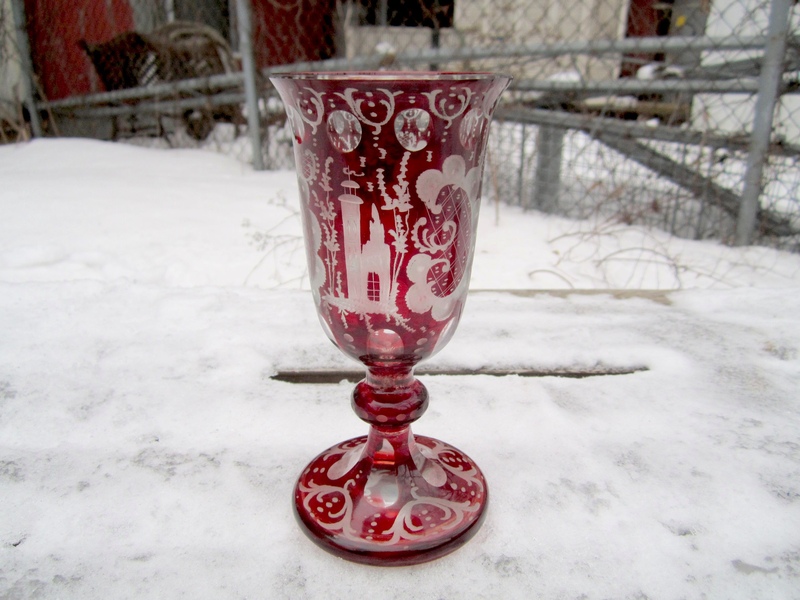 Egermann bohemian glass vase: 31.50$. This took a while to sell. Perhaps I overestimate its value. 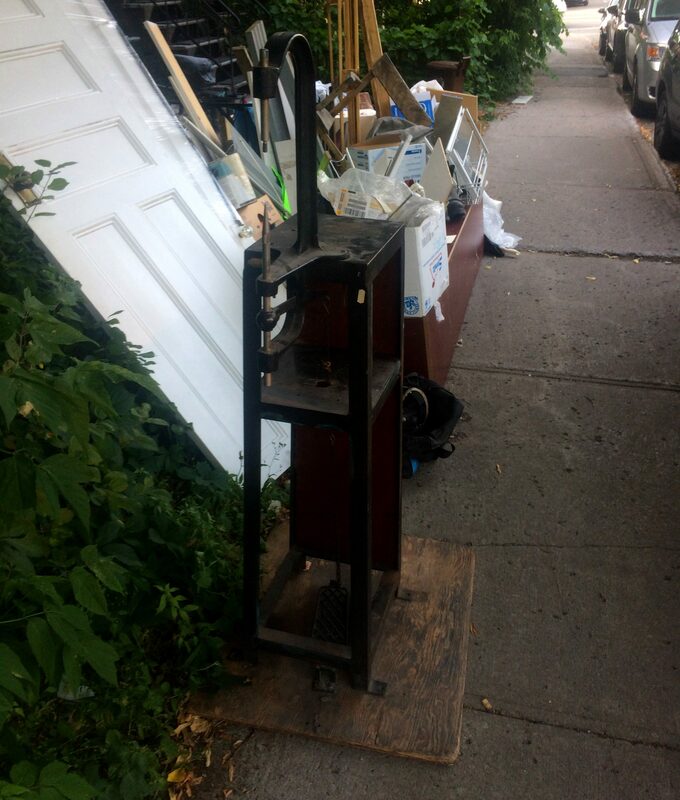 Found in Montreal West. 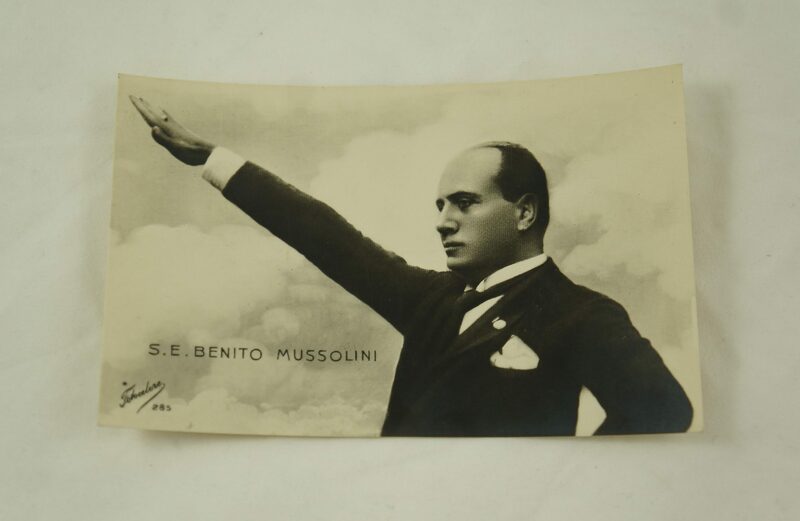 Benito Mussolini postcard: 18$. Part of that huge postcard haul I found last year. Royal Navy shoulder boards: 9$. Detonator II programmer box: 18$. 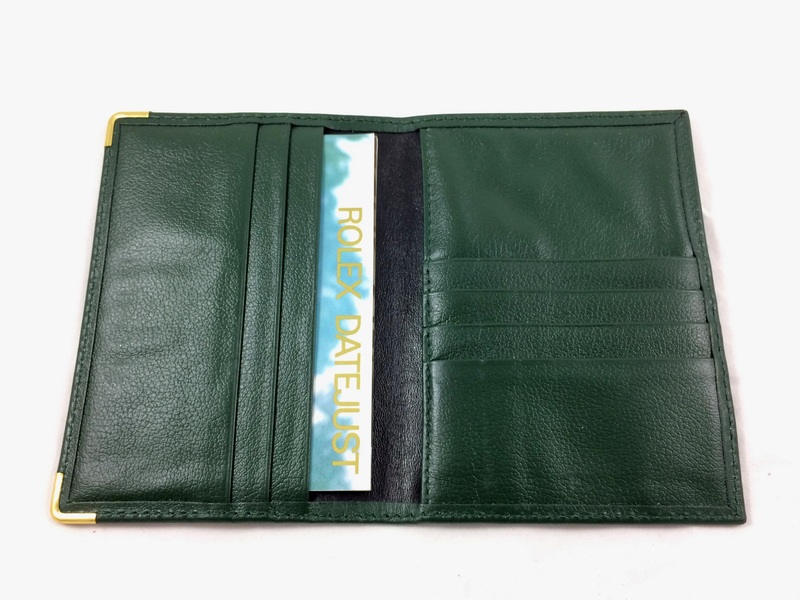 Rolex passport / documents holder: 54$. Habanita by Molinard, 100ml: 58.50$. Miniature bottle of Diorissimo: 22$. Unfortunately there’s no good way to link you to my auction listings, either past or present, so a lot of this info will be inaccessible when I pare down these posts. However, I’ll still share my favourite or more notable sales. Unfortunately I was too busy to take pictures of most of these things before bringing them in. You’ll have to use your imagination! 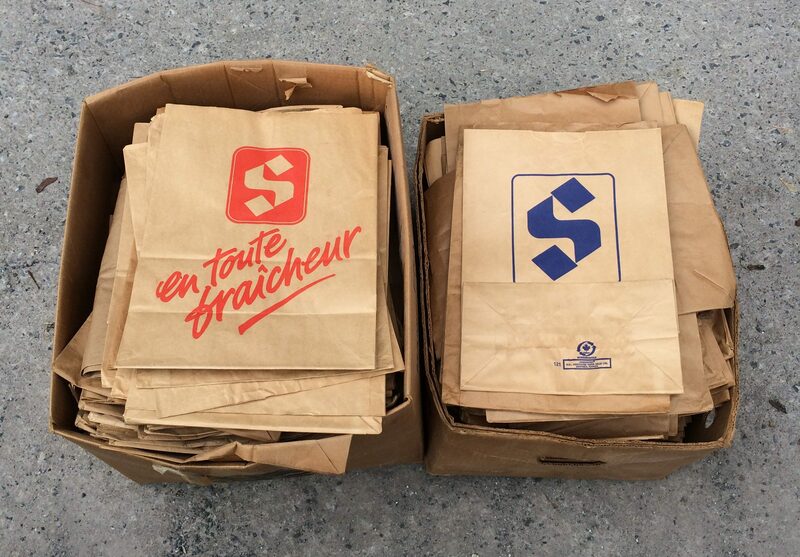 Lot of vintage paper bags (mostly from Steinberg’s): 14$. 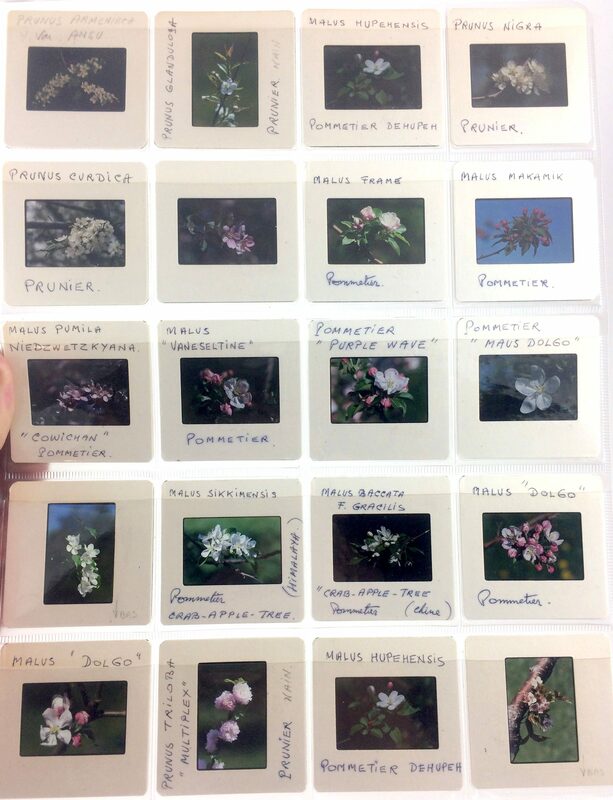 Lot of slides (mostly of flora & fauna): 20$. A big part of the huge photo haul I found last year in St Michel. The most valuable were the Expo 67 slides, which went for about 250$. Otherwise, some African missionary slides ended up selling for around 50$. These weren’t as collectible, but I’m sure someone will appreciate them (or turn them into a cool lampshade). Vintage metal & glass lampshade: 14$. Sears 26122 guitar pre-amp: 24$. Picture frame with chain-like motif: 6$. 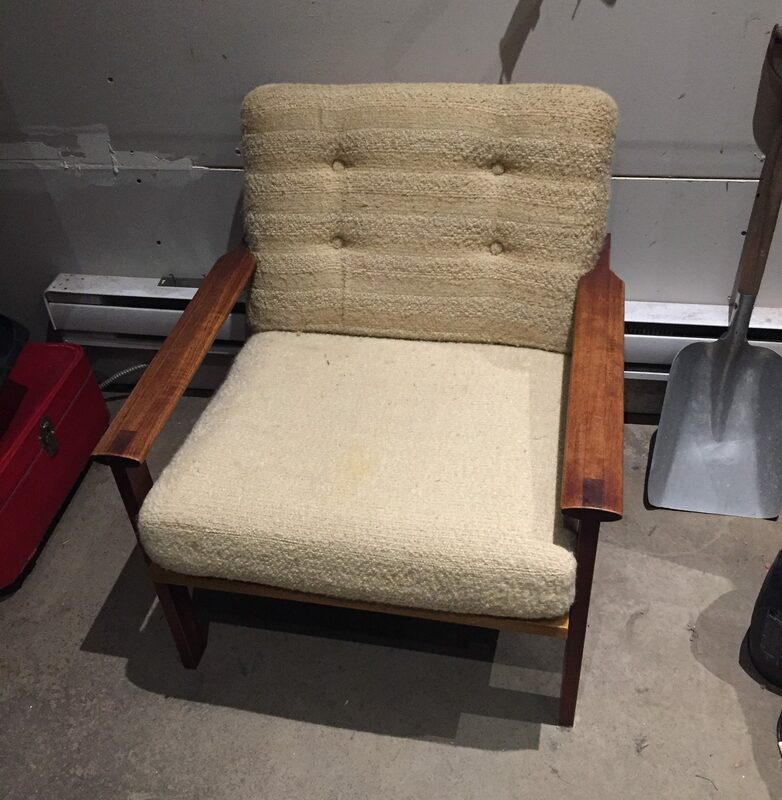 Pressback chair with missing leather seat: 16$. Vintage industrial towel holders: 14$. Lot of three portable radios with cassette players: 7$. 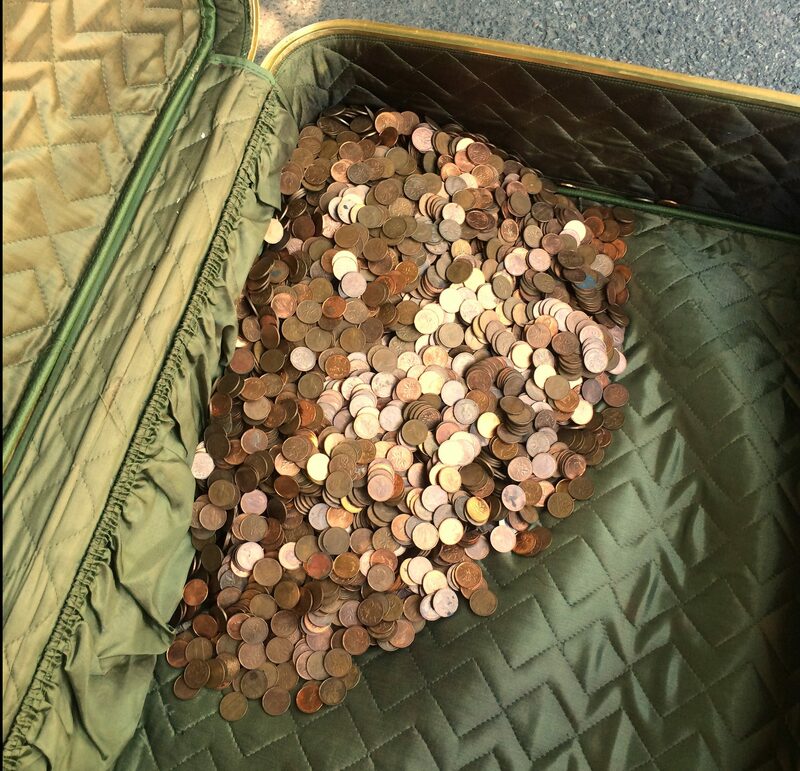 Bucket of pennies: 70$. Given to me by a nice guy in Cartierville. I’d guess there was 35-40$ in actual coins, but pennies sell for around 2c each at auction these days. 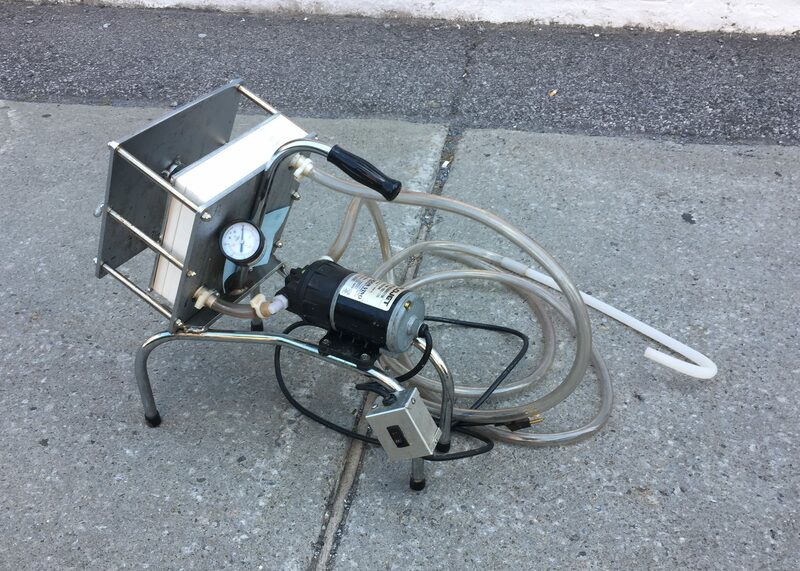 Electric soldering machine: 26$. It looks pretty grimy here but it actually cleaned up fairly well. 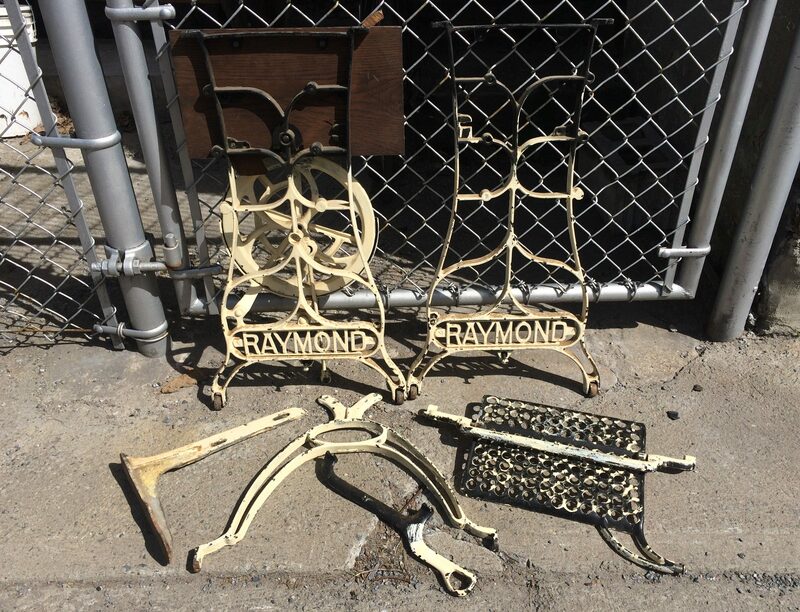 Raymond sewing machine table, in pieces: 30$. Kodak Etkasound projector, untested: 8$. Sharp projector, working but old: 26$. Standing birdcage, missing bottom piece: 12$. Aiwa stereo setup, untested: 8$. 17 old Alka Seltzer jars with hardware bric-a-brac inside: 10$. Lot of lamp pieces: 9$. Two balloon inflators, working: 7$. 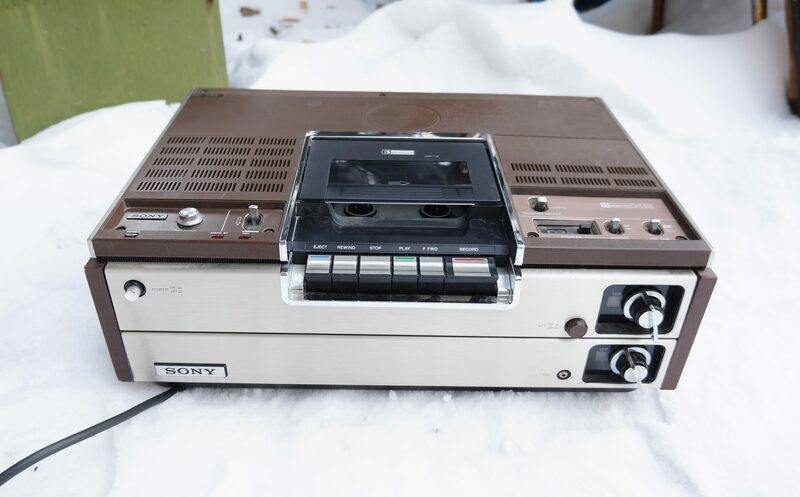 Huge Betamax player, untested: 10$. I realized that I was probably never going to get around to testing this thing, and since it weighed like 50 pounds it would have been a hassle to ship. I’m happy to get it out of my basement. Vintage UFO Pendant lamp: 75$. I’m happy with this sale. The lamp was great but needed some TLC. It would have been difficult to ship and annoying to sell on Kijiji. 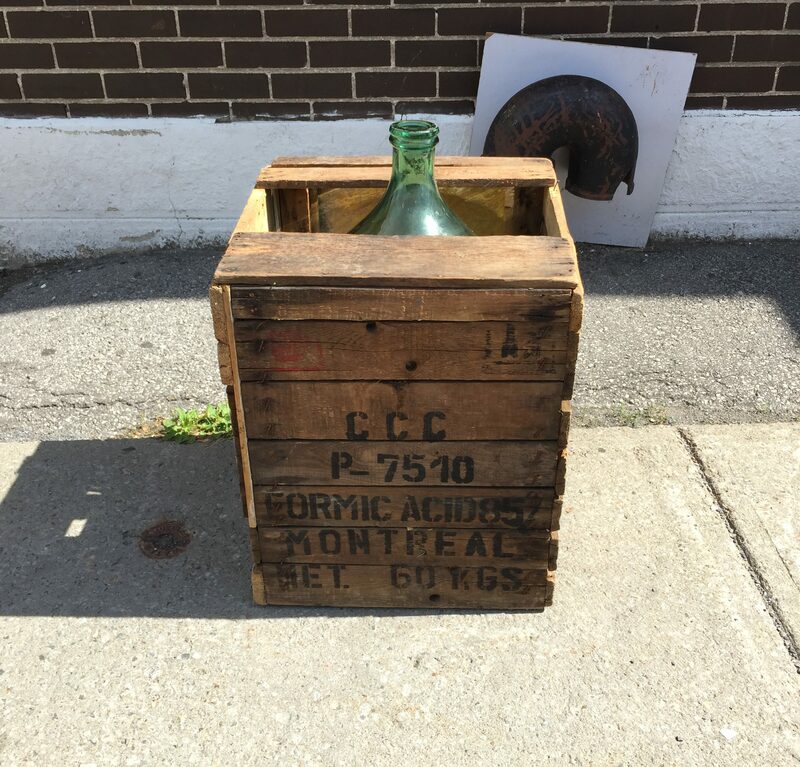 Found in Ville St Laurent. Chair base with wheels: 18$. Vintage Coleman cooler: 26$. I discovered that vintage coolers are a pretty easy sell. Victoriaville goalie stick: 6$. I should have held onto this until hockey season. Five stainless steel restaurant trays: 50$. A surprising result. I guess these things cost a fair bit new. Cup & stein lot: 18$. Brass umbrella stand: 44$. I didn’t expect it to sell for nearly this much – I think I had it priced at 10$ at one of my yard sales. Box of Le Jour magazines: 6$. 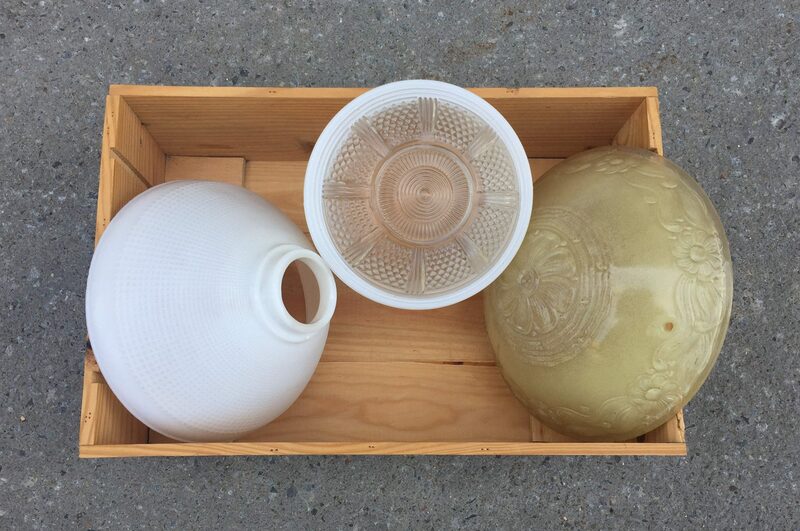 Lot of glass & metal lamp pieces: 16$. Alain Choquette (Quebec magician) signed photo: 5$. Jean-Pierre Girerd lithograph (cartoon of Rene Levesque): 24$. College de Montreal group photo (“trombinoscope”) with Gratien Gelinas: 34$. Total: 917 – 229.25 (25%) – 48 = 639.75$. Yard sales: 300$ (one small sale, one mediocre turnout). Total: 2438.75$, 14505.25$ so far in 2018. So far I’m on pace to make about as much as I did last year. However, I expect that my profits through the last quarter will propel me to new heights of (relative) wealth! I’ve been trying to reorganize and declutter my various storage spaces, but it’s difficult when I keep finding great trash to sell! Fortunately, the auction house is there to ensure I don’t get too overwhelmed. It’s tempting to be lazy when such a service is available. Instead of doing the work required to sell something on eBay I could always just drop the thing off and let someone else do it. It remains true that the best way to maximize the value of my finds is to put in the effort and list them myself. At the same time I don’t have nearly enough time to list everything, and it’s very reasonable to take the easy route for certain items. The key is to figure out which items best suit the auction house, which are better for yard sales, and which are best for eBay. Large, bulky, and fragile items that take up a lot of space and are annoying / expensive to ship. (It’s worth noting that while the buyer pays for shipping on eBay, that’s also a cost that they were willing to pay to get the item. Perhaps local buyers will bid a bit more than they would on eBay because they don’t have to consider shipping). Tools, practical items and interior design elements. Items belonging to the hottest markets of the day including: vintage video games, electronics, mid-century pieces, silver, and coins. Collections of items that are slow to sell at yard sales, and not worth my time to list individually on eBay. Items of local or regional interest. Things for which I lack expertise or knowledge. An item could fit into more than one of these categories. For instance, most things I bring to auction fit into class #1 to varying degrees. Vintage video game cartridges and coins are easily shipped, but those markets are very hot and the returns I’ve seen so far have been great. I could have listed those Steinberg tie pins on eBay, but I figured the nostalgia / FOMO of local collectors (#5) would fetch me a reasonable price (we’ll find out on Sunday!). So, what’s left? For eBay: small, easily stored, and easily shipped items; niche items I know I can get top dollar for; highly valuable items where the difference in fees becomes notable; and things I enjoy selling. For yard sales: everything else. We’ll see how the business evolves, but this seems like a solid strategy for the time being. 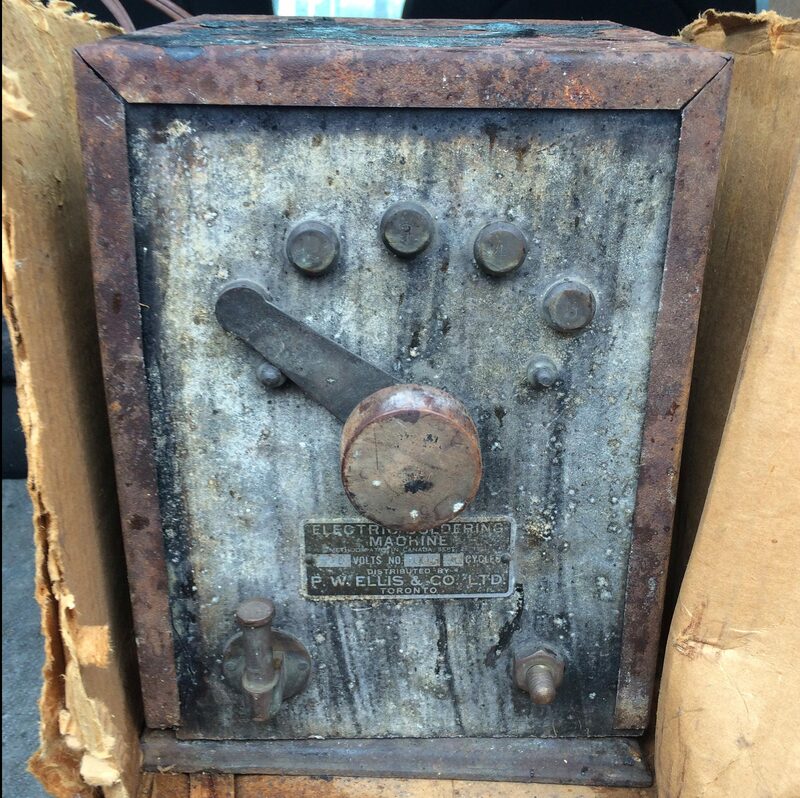 … and this winemaking doohickey, which was inside that cardboard box. I’m not sure what it does, but it seemed to work when I turned it on. 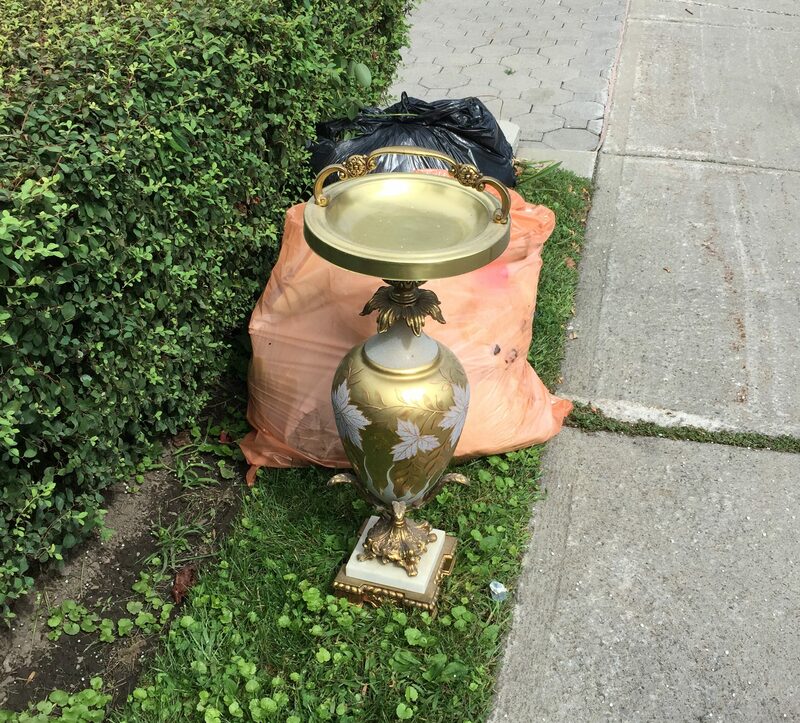 I spotted this standing ashtray in Ahuntsic last Thursday and brought it to auction the same day. 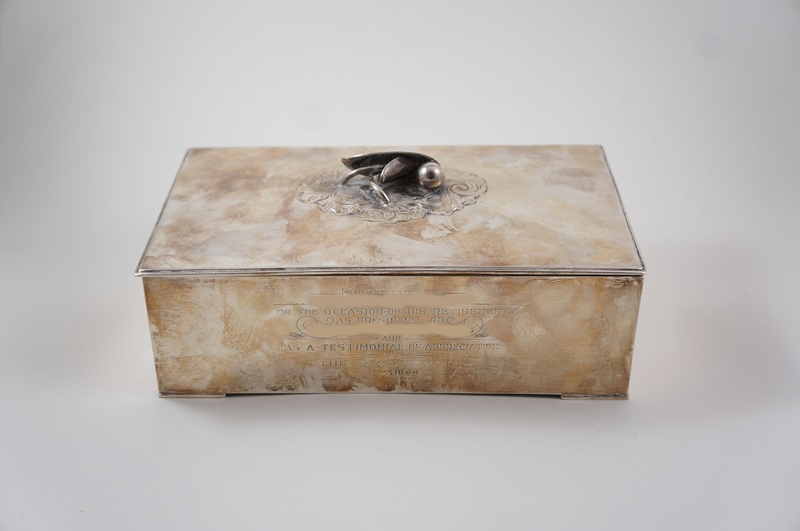 It was a great piece but also a category 1 object that I didn’t want cluttering up my storage. I picked up this weird (and slightly creepy) looking thing in TMR last week. 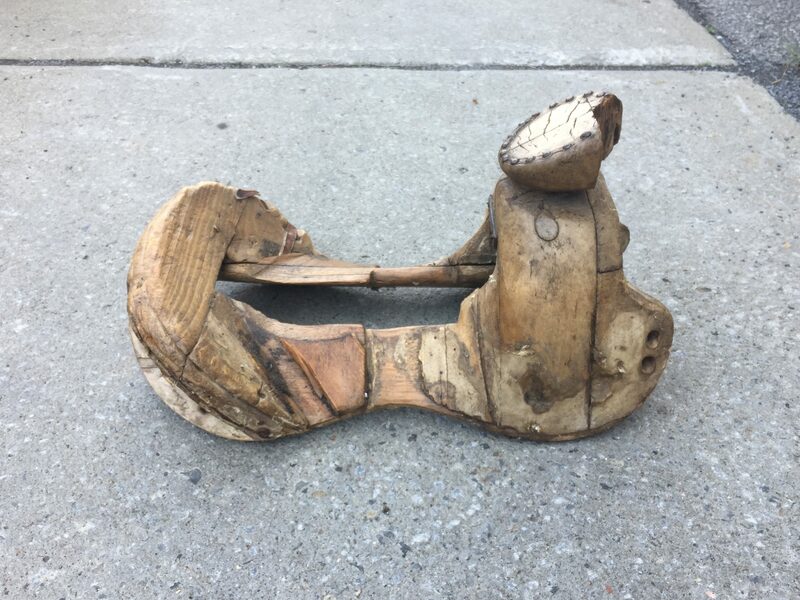 It’s definitely old and horse-related, perhaps something used to shape a saddle back in the day? Regardless, we’ll see how it does in the auction that ends next Thursday. 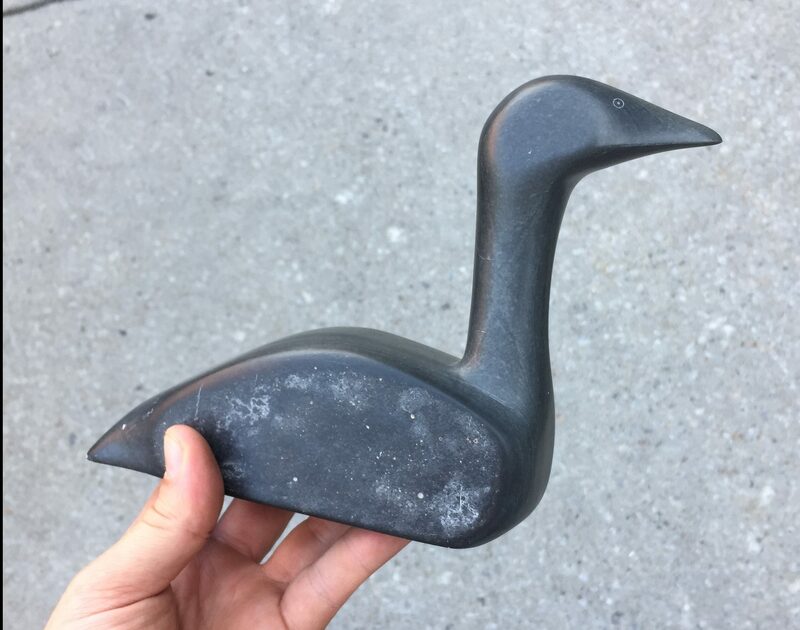 I’m told that this loon (which came from the same spot as the thing above) is a very nice piece. 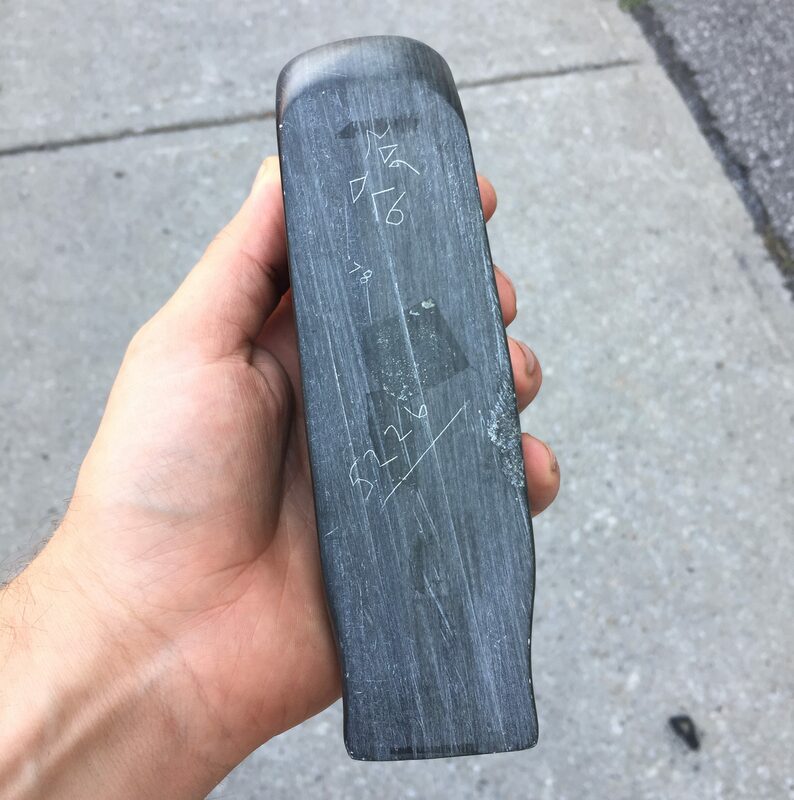 I don’t know much about Inuit art, but apparently it’s soapstone and signed by the artist on the bottom. The bottom number represents the town it was made in. The auction folk know more about this stuff than I do so I feel comfortable letting them deal with it. 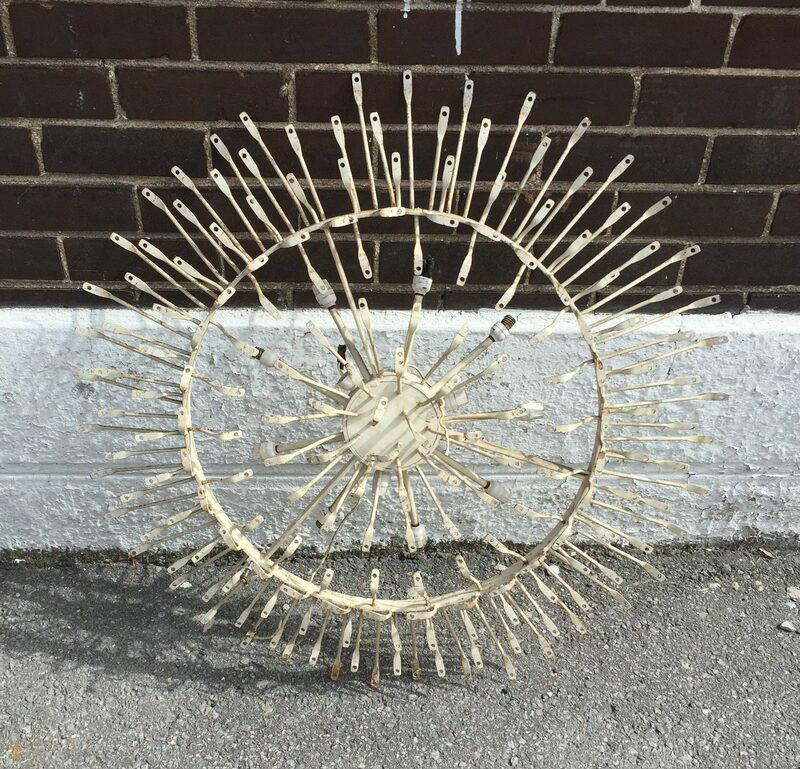 I picked up this starburst-y Italian chandelier base sometime last year. A friend of mine was planning on doing something cool with it but never found the time. I finally brought it to auction last week in hopes that it would do well as an upcycling piece. The fact that it has mid-century vibes only helps its case. 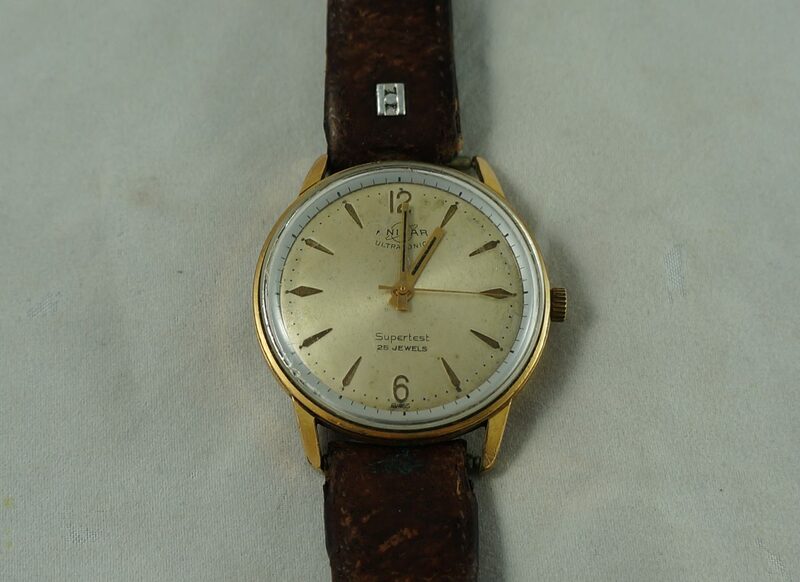 Vices (especially vintage ones) seem to do well at auction. They’re also pretty heavy which makes shipping expensive. I found this one in Ville St Laurent. 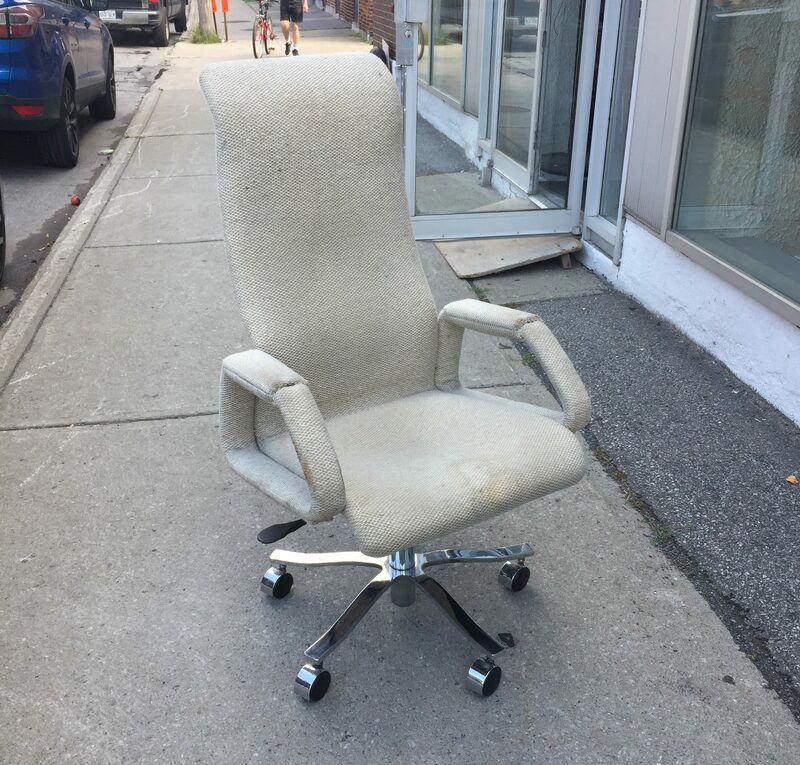 They were on the fence about taking this Frank Doerner office chair, but its sturdy frame and base won out over its obviously well worn upholstery. My last Doerner office chair didn’t fare very well, but this one’s much more luxurious and could look great with some new fabric. However, if it doesn’t do well I’ll pass on similar chairs in the future (also, they’ll probably stop accepting them). The chair was listed last night and the bidding will end next Thursday evening. 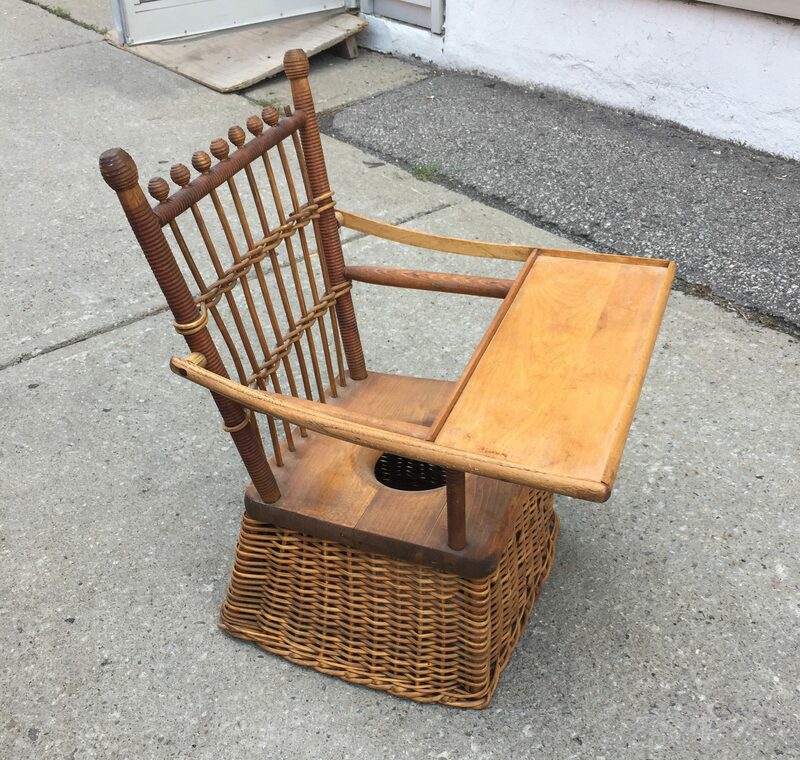 Here’s an antique kids’ potty chair I found last week. I’d never seen such a thing before (and don’t understand why you’d want to make one with wicker) but it seemed like a good thing to drop off at the auction. 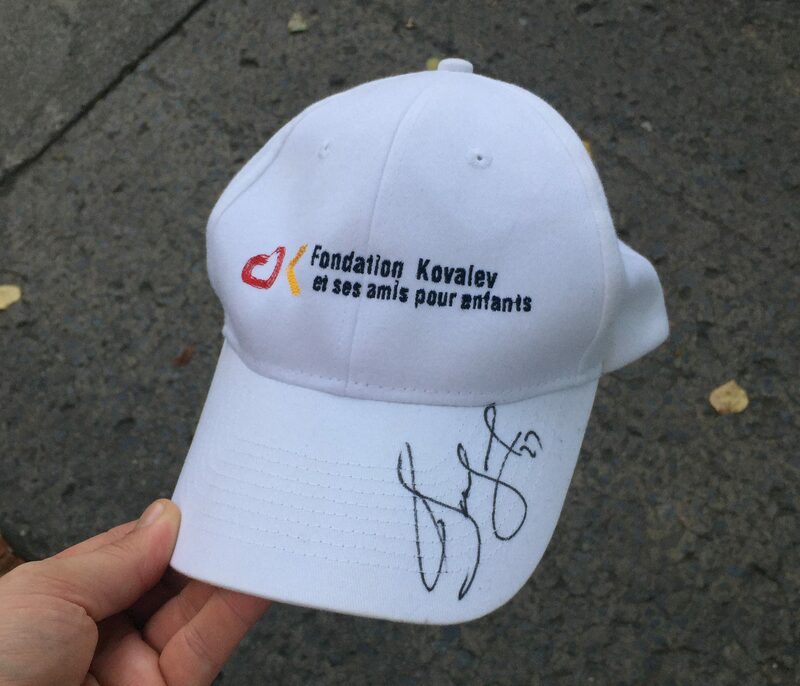 Someone last week tossed a hat signed by former Montreal Canadien Alexei Kovalev. This definitely falls under “local interest,” and I expect the auction to earn me about as much money as I would if I were to list the hat on eBay (with much less effort required). 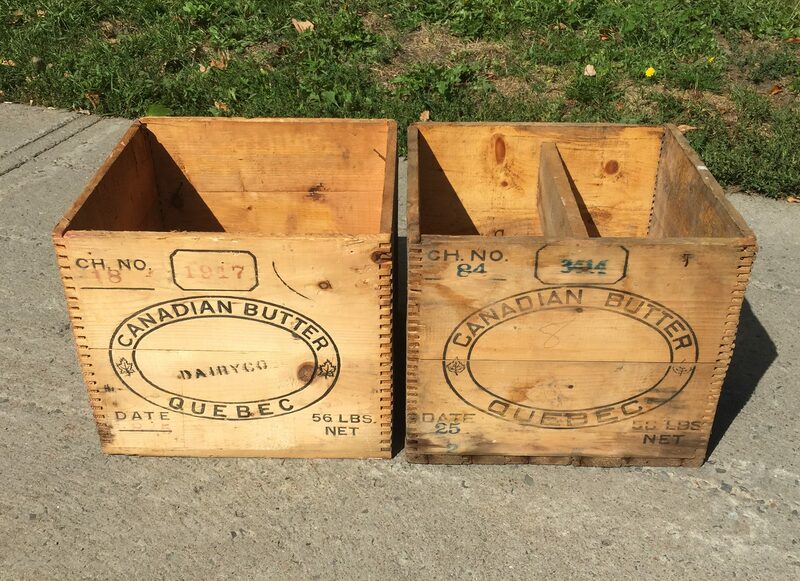 These old butter crates are bulky, practical and of local interest. They should sell for about 15$ each. 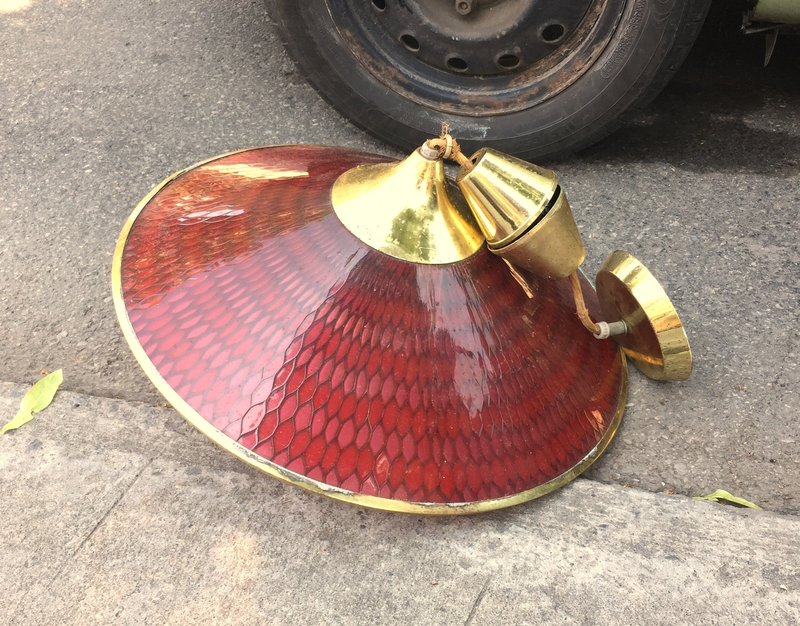 Most vintage glass lampshades are annoying to sell at yard sales because they’re niche (what are the odds the person who wants that specific one will show up? ), bulky, and breakable. 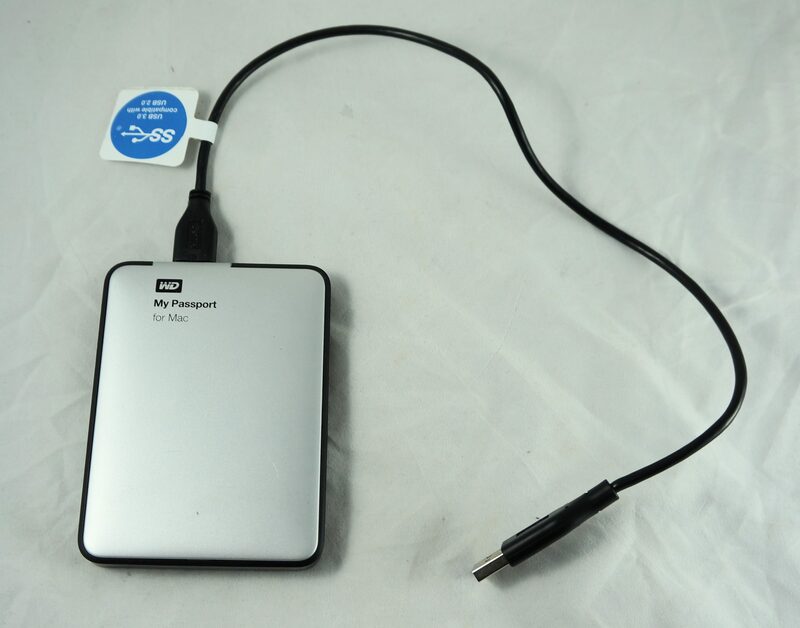 The latter two reasons (which result in a high cost of shipping) also make them a pain to sell on eBay. So, to the auction they go, often in groups of at least three. I dropped off a bunch of video game stuff including these N64 games I had stashed away for eBay season and some untested consoles I had at the garage. Some of my other video game lots have already sold but these haven’t yet appeared on the sight. 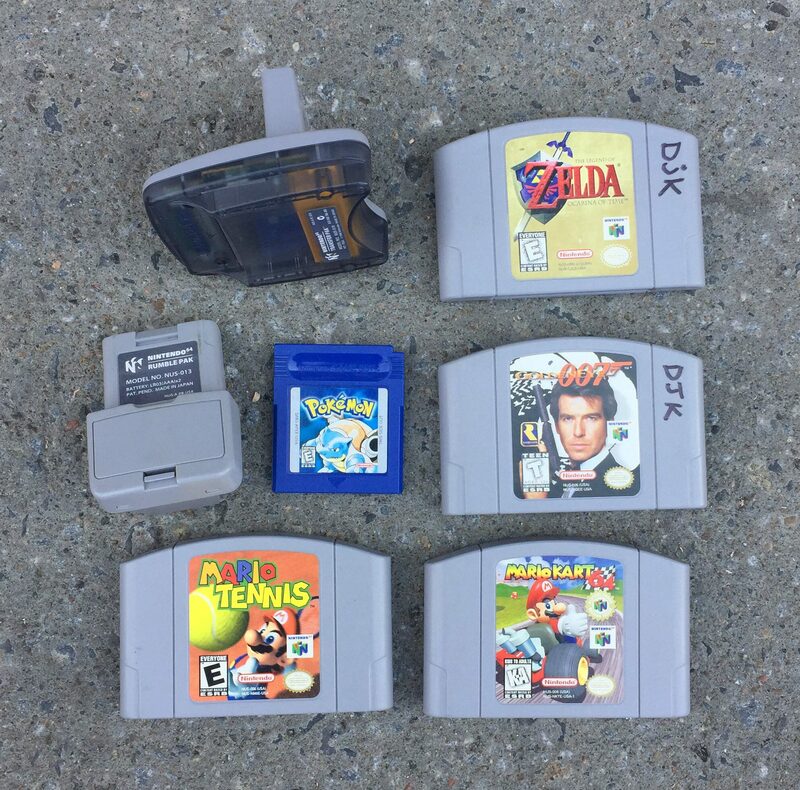 Mario Kart and Zelda are especially popular, and these should fetch me a nice chunk of cash. Let’s finish with this piece, which will probably end up being the most valuable of the bunch. My friend and I happened upon a huge pile while picking one evening. We met the guy doing the tossing which can sometimes be an unpleasant experience. However, I don’t think I’ve ever seen anyone so ecstatic to have me take their junk. He was telling me what all was there, helped me collect a bunch of train set pieces that he put in his neighbours recycling bin, let us wash our hands inside the house, and so on. 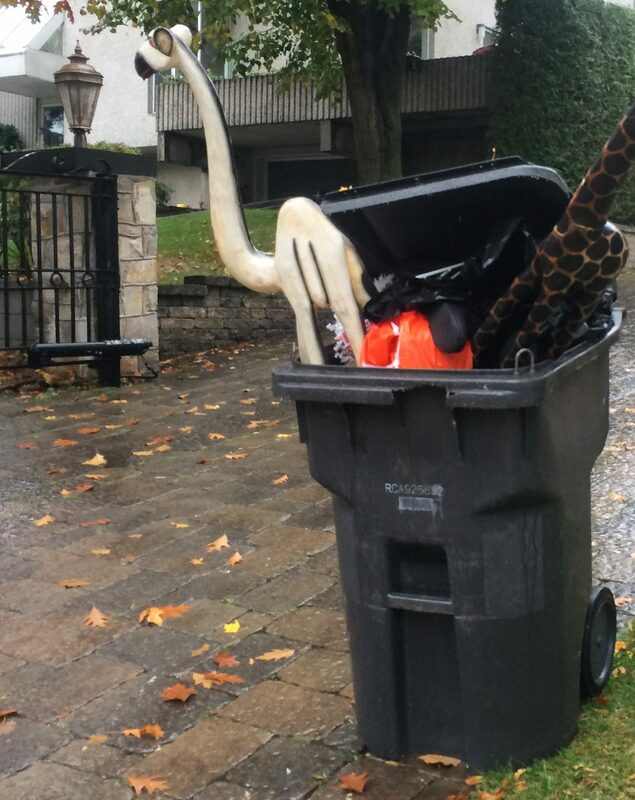 Apparently he was cleaning out his parents’ attic as they were preparing to sell the house. 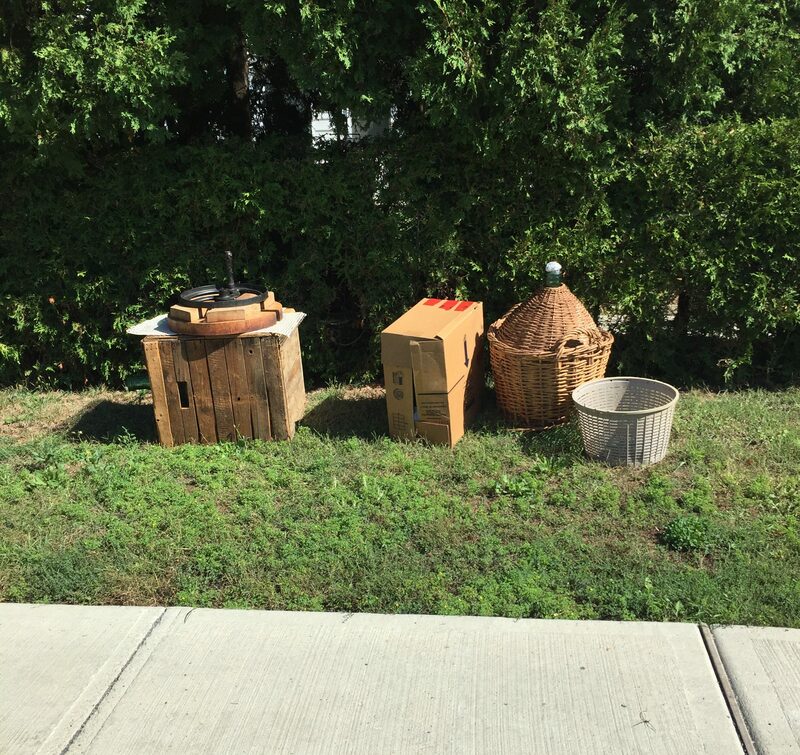 Anyways, I spotted some wood pieces inside a pair of disintegrating trash bags. I could tell right away that they were teak, and wondered if they could be fancy designer pieces. 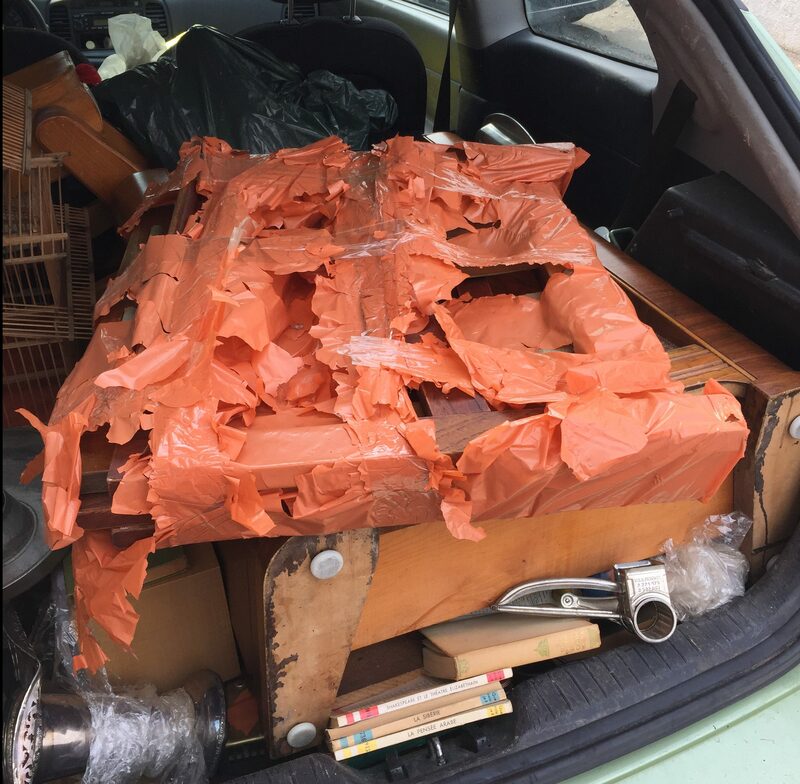 They turned out to be the pieces of a mid-century chair (actually 1.5 chairs – I have two extra bits that I don’t know what to do with). I don’t know much about all the different mid-century designers so I posted pictures to Reddit’s /r/mid_century forum in hopes that they could tell me what I needed to know. As it turns out, this chair is a Capella lounge chair designed by Illum Wikkelso for Niels Eilersen of Denmark. 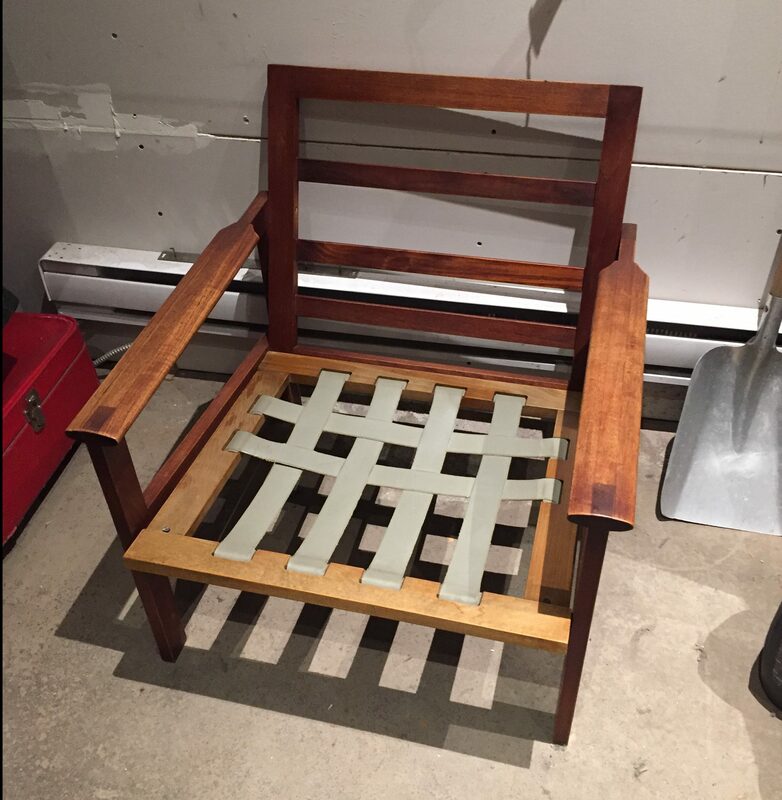 I don’t think that this chair has the same appeal as the George Nakashima piece I found a couple years ago, but it’s still very much in style and should sell in the somewhere in the low hundreds. I felt comfortable dropping it off because the mid-century market is very hot right now, the price of shipping would be pretty high, and the 25% fee (as compared to the roughly 10% with eBay / Paypal) is well worth it considering how much hassle it saves me. We’ll see how it goes! I think I’m nearly done with the constant organizing / reorganizing that became necessary after downsizing my garage and discovering this new auction approach. My basement is pretty much clear of forgotten junk, my storage on Coloniale is relatively empty after a couple of yard sales, and my garage is still a total mess but not nearly as bad as it was not long ago. Hopefully soon I’ll be able to focus more on the blog and featuring finds from specific spots like I used to. I’m leaning towards doing a yard sale this Sunday at my garage. The weather is supposed to be perfect and it might be the last hot weekend day of the year. Plus, I really want to get rid of some junk. It’ll be at roughly 918 St Gregoire (near Mentana and Laurier Park) starting around 11am. For now let’s assume that I do it. I’ll edit this post below if I change my mind (so check back if you want to be sure).